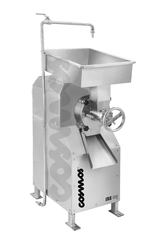 With the committed and persevering endeavours of our workforce, we are the most credible Supplier of the wide range of Instant Rice Wet Grinder. With an aim to fulfill varied demands of industrial applications, we are providing technologically advanced Commercial Rice Washer that is especially used to wash rice in food processing industry. Further, this rice washer is available with us in numerous technical specifications as per the specific application needs of the clients at reasonable rates. Rice washer thoroughly cleans rice and dhal in large quantities and removes dirt, insects and impurities with less water consumption. 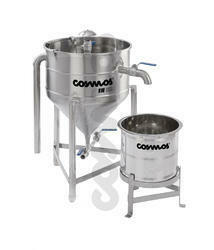 1 an420 Kgs per load, with washing Ato 5minutes per load. Being one of the most reliable and trusted companies in this line of work, we have also brought forth to our clients one of the finest and greatest quality vegetable washers. 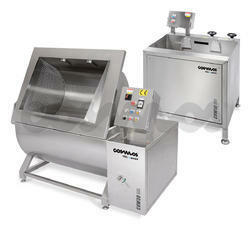 These vegetable washers are used for several commercial purposes for the use of washing vegetables in most convenient and reliable way. These vegetable washers have been designed and constructed in an excellent manner at our company using supreme quality raw materials which makes it durable and efficient for easy utilization as well as easy maintenance. 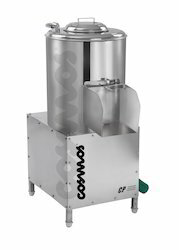 Multifunctional - can also defrost products such as frozen prawns Capacities available are 15 Kgs to 35 Kgs in both tilting and non tilting versions.